Only 16 miles from the Las Vegas Strip and just off U.S. 95, Santa Fe Station's rugged stone exterior stands in harmony with the natural beauty of the surrounding mountains. Designed with the nuances of an ancient Spanish villa, the hotel-casino features an interior of earthy tans, reds and browns, marble flooring, wrought-iron accents and ceilings accentuated with glass arches. A favorite of locals and tourists alike, gamblers will enjoy the hotel's expansive casino, which offers not only 2,700 slot and video poker games, but also 40 table games, a 488-seat bingo hall, a keno lounge, a race and sports book and a non-smoking poker room. Looking for 1-cent and 5-cent slots? You'll find them at Santa Fe Station along with progressive favorites like Megabucks and Wheel of Fortune. With a wide variety of restaurants to choose from, no one will ever go hungry here. 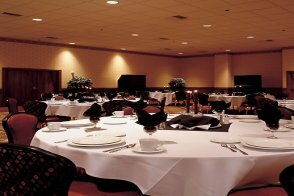 The Feast Buffet caters to tastes from around the world, with Mexican, Italian, Chinese and American dishes. 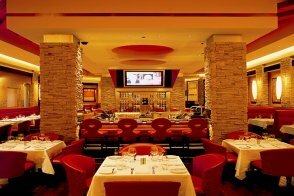 The upscale Charcoal Room proves that fine dining isn't limited to the Strip, boasting an extensive wine list, succulent steaks and fresh seafood. The Grand Café has a full menu of breakfast, lunch and dinner delights, while diners will enjoy guacamole prepared tableside at Cabo Mexican Restaurant. 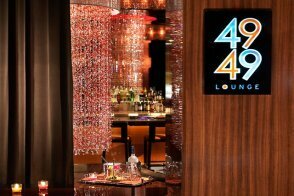 Entertainment can be found in the Chrome Showroom, including a variety of world music headliners as well as local bands.The resort's newest hot spot is 4949 Lounge, a stunning bar with guest DJs on weekends and karaoke on Monday nights. A 16-screen movie theater and a 60-lane bowling alley round out the attractions, making Santa Fe Station the perfect hotel for a weekend retreat or a family adventure. And with two garages offering plenty of self-park and valet spaces, you'll never have to worry about finding a spot for your car. Yes. 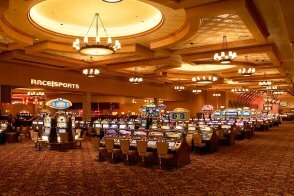 There are more than 2,700 slot and video poker games. Among the 40 table games are blackjack, roulette, craps, pai gow, Dueces Wild, Ultimate Texas Hold 'Em and mini-baccarat. 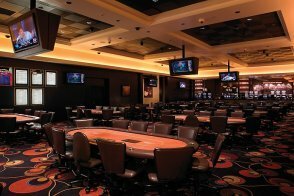 Other amenities include a 488-seat bingo room, a 20-seat keno lounge and a 14-table, nonsmoking poker room. 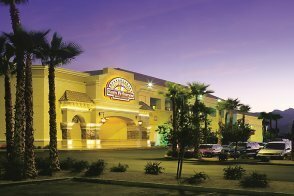 The casino also offers 1-cent and 5-cent slots, plus Wheel of Fortune and Megabucks progressive slot machines. 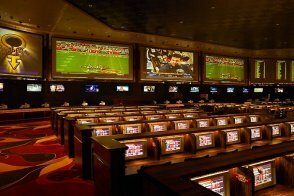 Yes, a 259-seat race and sports book, equipped with a five-screen, 114-foot video wall. Santa Fe has the following dining options: The Charcoal Room, Cabo Mexican Restaurant, Feast Buffet, Grand Cafe, The Oyster Bar and a food court. A variety of musical artists can be found headlining the Chrome Showroom. Yes. The 4949 Lounge is a fun bar. Other bars at the resort include Kegler's Bar, Iguana Bar and Sports Bar. A 60-lane bowling center, a 16-screen movie theater and Kids Quest (supervised entertainment for children). Yes, one outdoor pool plus a Jacuzzi. Hotel gift shop, smoke shop and a bowling store. No, but copying and faxing are available at the front desk. 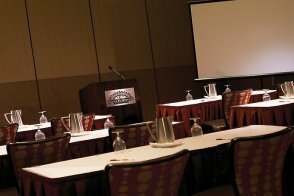 Yes, 14,000 square feet of banquet and meeting room space. Yes, the Santa Fe offers child-care facilities. Kids Quest is a safe, professionally supervised entertainment center for children ages six weeks to 12 years old. It has indoor play areas, quiet zones, arts and crafts, nutritious meals and a tiny tots room. 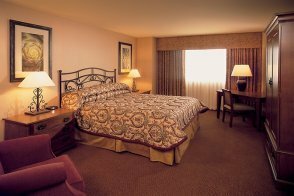 Convention rooms, dry cleaning and maid service, wake-up calls, safety deposit boxes, currency exchange and luggage service. Hotel requires a credit card or a cash deposit upon check-in for incidental charges. Resort fee Santa Fe Station has a $22.59 per room, per night resort fee. This fee is not included in your reservation and will be collected by the hotel. Access to the fitness facility. Free cup of Starbucks coffee. Daily newspaper (Monday - Saturday). Unlimited local, toll-free and domestic long distance phone calls. This 350-square-foot room has one king pillow-top or two queen pillow-top beds. It was designed with neutral colors and features metal accents and wood furnishings. The room also includes a color TV, dry cleaning service and in-room movies. Coffeemakers and refrigerators are available by request only. The bathroom has a single sink and a combined tub and shower. This 350-square-foot room has one king bed with a pillow-top mattress. It was designed with neutral colors and features metal accents and wood furnishings. The room also includes a color TV, dry cleaning service and in-room movies. Coffeemakers and refrigerators are available by request only. This 350-square-foot room has two queen beds with pillow-top mattresses. It was designed with neutral colors and features metal accents and wood furnishings. The room also includes a color TV, dry cleaning service and in-room movies. Coffeemakers and refrigerators are available by request only.